Zhijian and co carried out their experiments with 360 students recruited from Zhejiang University and divided into 60 groups of six players. 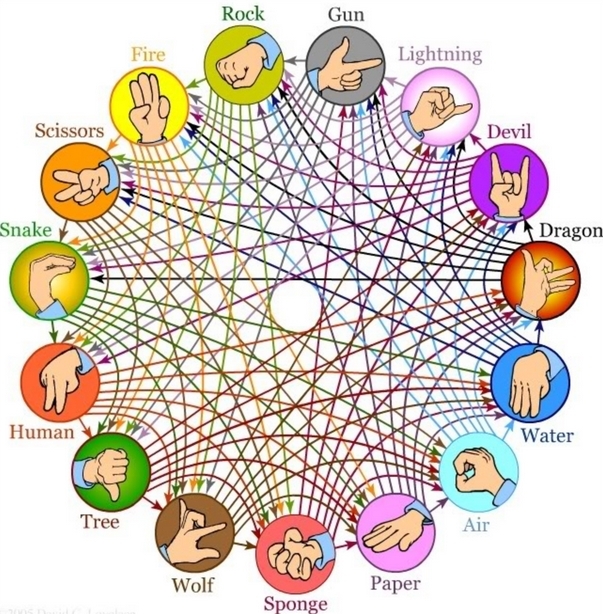 In each group, the players played 300 rounds of Rock-Paper-Scissors against each other with their actions carefully recorded. As an incentive, the winners were paid in local currency in proportion to the number of their victories. To test how this incentive influenced the strategy, Zhijian and co varied the payout for different groups. If a loss is worth nothing and a tie worth 1, the winning payout varied from 1.1 to 100. The results reveal a surprising pattern of behavior. On average, the players in all the groups chose each action about a third of the time, which is exactly as expected if their choices were random. But a closer inspection of their behavior reveals something else. Zhijian and co say that players who win tend to stick with the same action while those who lose switch to the next action in a clockwise direction (where R → P → S is clockwise). So, for example if person A chooses Rock and person B chooses Paper, then person B wins. Human nature therefore seems to mean that person B is more likely to stick to a winning strategy and choose Paper again, whilst person A is more likely to copy that previous winning behaviour and also choose Paper. A draw. So you can exploit this by always moving anticlockwise i.e R → S → P. To look at our example again, person A chooses Rock and person B chooses Paper, then person B wins. This time person A follows his previous pattern and still chooses Paper, but person B exploits this new knowledge to choose Rock. Player B wins. You can play against a Wolfram Alpha AI player here. This program will track your win percentage, and will also adapt its behavior to exploit any non-random behavior that you exhibit. Even though you may not be conscious of your biases, they probably will still be there – and the designers of this simulator are confident that the program will be beating you after about 50 games. Have a go! 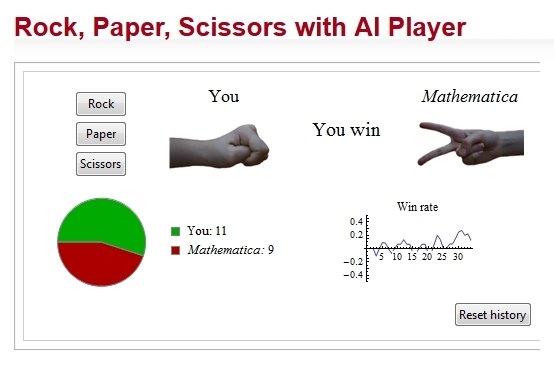 There are some additional tips for winning at rock paper scissors – if you are in a single game competition then choose paper. 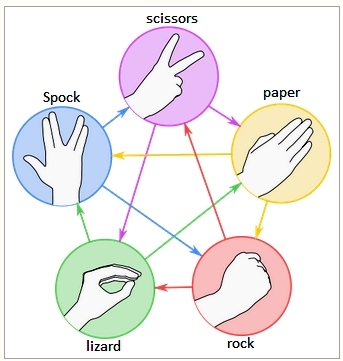 This is because men are most likely to choose rock, and scissors are the least popular choice. Also you should try some reverse psychology and announce what you will throw. Most opponents will not believe you and modify their throw as a result. If you’ve honed your strategy then maybe you could compete in the a professional rock, paper, scissors tournament – here you can watch the final of a $50,000 Las Vegas competition.